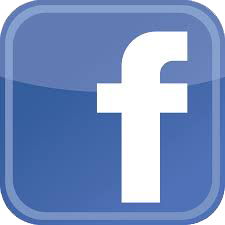 Click on ARROW or PROGRAM for full description. 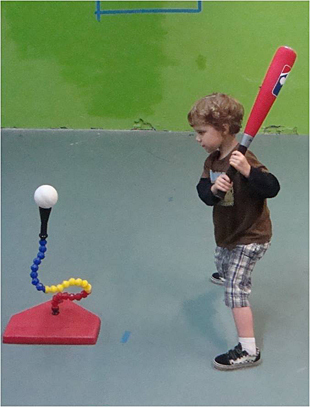 Start Smart Baseball teaches children the basic skills necessary to play organized baseball while spending time with their parents. 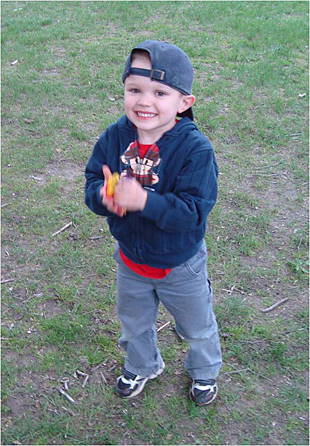 Children and their parents will learn the proper technique of throwing, catching, batting, running and agility without the pressure of a highly competitive environment. All participants will leave the program with their very own Start Smart Baseball kit. Parents/Guardians must be present to practice with their children. Volunteer Coaches are Needed for Tee Ball. Training Provided. Contact the Recreation Office 772-1553 for more information! Players learn fundamental skills and good sportsmanship through confidence building drills and activities as well as game play. May 4 is the first day and includes practice and game play. Bring a glove and water bottle! Space limited - register soon! Volunteer Coaches Needed. Coaches Clinic to be announced. Buddy Baseball is a program for girls and boys with disabilities, ages 6 and up. Each player has a peer Buddy to assist with skills the player cannot perform. The program is designed to teach and practice the basic skills of softball and baseball. Games will be played May 11-June 22. Travel to Mini-Fenway Park in Belchertown; date TBD. On June 29, we will conclude with our final game and a pizza party at the Swim Area! Reduced fees available. Volunteer coaches and Buddies are needed! Sign up for April Vacation Week for a fun-filled week of activities, games, and outdoor fun. Morning snack provided each day. Lunch, afternoon snack and drink must be sent with child. Additional Paperwork Required. 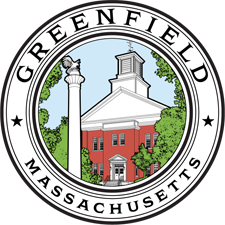 In celebration of Mass ArtWeek, join us in helping make Greenfield more beautiful one parking meter at a time! In this self-guided program, meters will be available to paint over the course of three days. Artists 16+ may work independently, and we ask that younger children participate with the guidance of an adult partner. We encourage families and groups interested in participating to collaborate on a design! Canvasses will also be provided for young artists interested in creating an independent masterpiece. Greenfield Recreation, the Greenfield Bicycle Coalition, the Kiwanis Club, the Franklin Regional Council of Governments, and Safe Routes to School are organizing a Bike Rodeo. 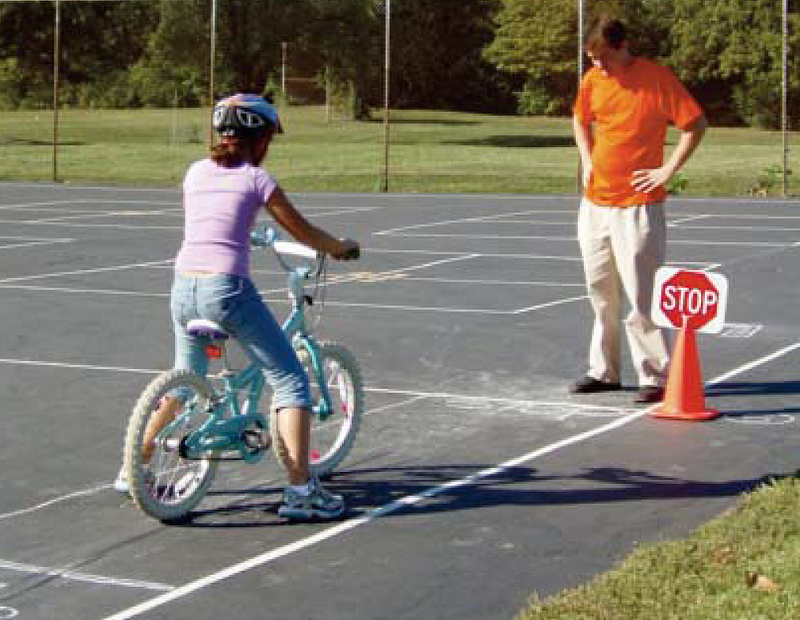 Come learn how to safely navigate the streets while biking. Practice on our interactive course. The rodeo will include bike safety, helmet safety check, and more. A limited number of free bike helmets will be available. Start Smart Soccer teaches children the basic skills necessary to play organized soccer while spending time with their parents. Children and their parents will learn the skills of kicking, dribbling, trapping, throw ins and running skills without the pressure of a highly competitive environment. All participants will leave the program with their very own Start Smart Soccer kit. Parents/Guardians must be present to practice with their children. Are you interested in golf? Learn basic fundamentals, from course etiquette to stance, to swing, to putting. Clubs are available for this program or bring your own. Curious about Pickleball’s growing popularity, but unsure of how to play? This one day clinic will provide an introduction to the rules and game-play of this widely accessible sport. Open to new players of all ages, bring the while family! Equipment will be available for use. 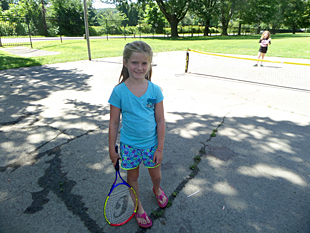 Give tennis a try! 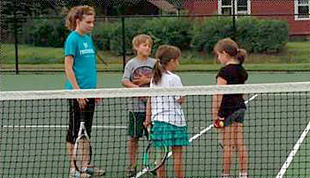 This free program will introduce basic tennis strokes, rules, and scoring. Thanks to our Youth Tennis Grants, youth participants completing one or both of these sessions receives a tennis racquet and a can of tennis balls! Donations of new and used racquets welcomed. 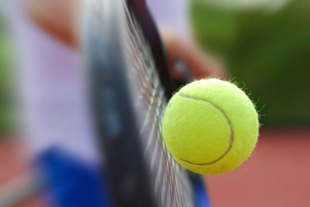 Come learn forehand, back-hand, how to play the game of tennis and more. Learn the rules of the game and improve your skills. Rain day make ups will be held on Tuesdays and Thursdays. 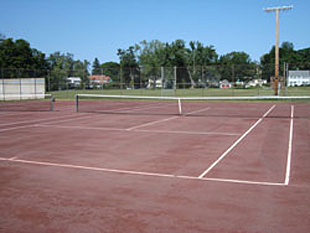 Classes held at Davis Street Courts if clay courts are wet. Loaner racquets available for classes. Bring a water bottle and wear flat soled shoes. Come learn a new skill or improve your level of play in this one week program for all levels. The instructor will lead this clinic and review forehand, backhand and how to play the game of tennis. Learn the rules of the game and improve your skills. Bring a racquet or borrow a racquet and bring water or sport drink. Who says Quidditch is just for witches and wizards? Muggle Quidditch brings the Harry Potter series’ most thrilling sport down to earth, where players on foot throw Quaffles, dodge Bludgers, and chase down the Golden Snitch. Joining in on the magic of this Greenfield Public Library organized program is the next best thing to a Hogwarts acceptance letter! The Greenfield Recreation swim program is designed to help swimmers at every level to experience more success and less frustration with learning the fundamentals of swimming. Below are descriptions for each level of the program. All lessons held at the Green River Swimming Area. Exploration of water activities and readiness. Parent is not with child during lesson. Learn to hold breath under water; float front and back; kick on front and back with help; walk in shallow end. Must have passed Level 1. Learn to swim underwater; float without help; flutter kick; swim combined strokes for distance; retrieve object from shallow end. Must have passed Level 2. Bobbing in water overhead; learn diving; front and back crawl strokes; elementary backstroke; reverse direction without stopping; tread water for time. Must have passed Level 3. Deep water bobbing; rotary breathing; deep water diving; swim 4 basic strokes for distance; tread water for time with different stroke kicks. The Babysitter’s Training Course will give you the safety skills to learn what parents expect in a babysitter and give you the skills needed to handle any babysitting situation. This course is recommended if you are interested in a position as a camp counselor. You must attend both days for certification. Volunteer Coaches are Needed for Soccer. Pee Wee Soccer is for boys and girls in grades K-2. 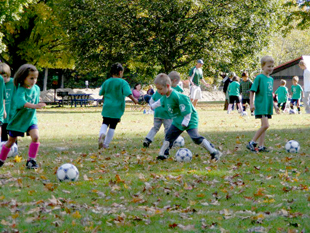 Small field 3v3 soccer program introduces passing, dribbling and shooting skills. Instruction and scrimmage weekly. Parent volunteer coaches are needed. Coaches meeting TBA. Call for more information. Players must wear shin guards, sneakers or soccer shoes (no cleats). T-shirt will be provided. 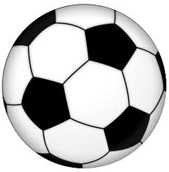 Travel Soccer is for boys and girls in grades 3-6. Jr. Division is for grades 3-4 and the Sr. Division is for grades 5-6. Each division plays on a small field 5v5 for Jr. and 7v7 for Sr. Each Division introduces passing, dribbling and shooting skills. One night a week practices and Saturday Game Schedule TBA. Parent volunteer coaches and referees are needed. Coaches Meeting TBA. Call for more information. Players must wear shin guards and mouth guard; cleats are not required. T-shirt will be provided. An end of season Jamboree will be on October 27th. Pee Wee basketball is for players in grades Kindergarten through Second. This program will help teach these little learners the fundamentals of the game including shooting, passing, dribbling, and rules. Volunteer coaches will lead your players through skills and drills as well as scrimmages that will help boost their overall skill development, coordination, and confidence. Sessions may be combined based on enrollment. This is a travel basketball league with a boys team and a girls team. This league has weekly practices on a rotating schedule with Saturday games. Participants will be introduced to the basic fundamentals of shooting, passing, dribbling, and league rules. They will also learn new skills and drills that will continue to develop the individual as a more experienced basketball player. Please carry your basketball sneakers into the gym and change inside. 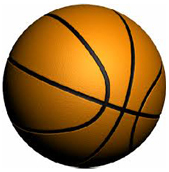 This recreational travel league program is for both new and experienced basketball players in grades 5 & 6. The program places an emphasis on good sportsmanship and having fun. Volunteer coaches will guide players through higher level skills, drills, and plays that will help to improve their skills, coordination, and self-confidence. Practices are held twice a week on a rotating schedule. Games are held on Saturdays beginning in January and will take place around the region. Please note, Boys and Girls teams may be combined based on enrollment. Join us for four Saturdays of fun and adventure in January on the slopes of Franklin County’s own Berkshire East Ski Resort in Charlemont. With over 40 trails to choose from, Berkshire East offers skiing or snowboarding for all skill levels. All participants must stay with a chaperone all day except for those ages 12 and older. Parents and adults are welcome to participate as well and take advantage of our special program pricing. All participants are encouraged to wear helmets, which can be rented directly from Berkshire East during the program. Participants must find their own transportation to and from the mountain. Participants must meet the chaperone at 10:00 am in the Main Lodge. Parents must pick their children up from the Main Lodge at 3:15 pm. Additional forms will be required for rentals and lessons. Registrations are due by December 3rd! Rates are also available to adults or parents. 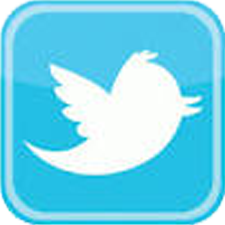 * Please indicate lesson level: Brand New, Beginner, Intermediate or Advanced on Registration Form. Sign up for Winter Vacation Week for a fun-filled week of activities, games, and outdoor fun. Morning snack provided each day. Lunch, afternoon snack, and drink must be sent with child. Children must bring appropriate winter clothing (boots, hats, gloves, etc). Additional paperwork required. Sign up for February Vacation Week for a fun-filled week of activities, games, and outdoor fun. Morning snack provided each day. Lunch, afternoon snack, and drink must be sent with child. Children must bring appropriate winter clothing (boots, hats, gloves, etc). Additional paperwork required.